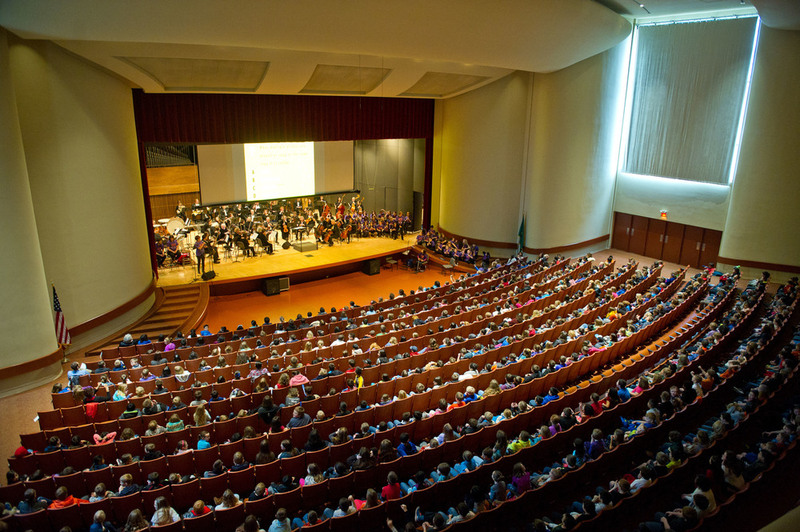 Beginning in the 2015-16 school year, students in 3rd, 4th and 5th grades collaborated with the Walla Walla Symphony in a music education program provided by Carnegie Hall’s Weill Music Institute (WMI). 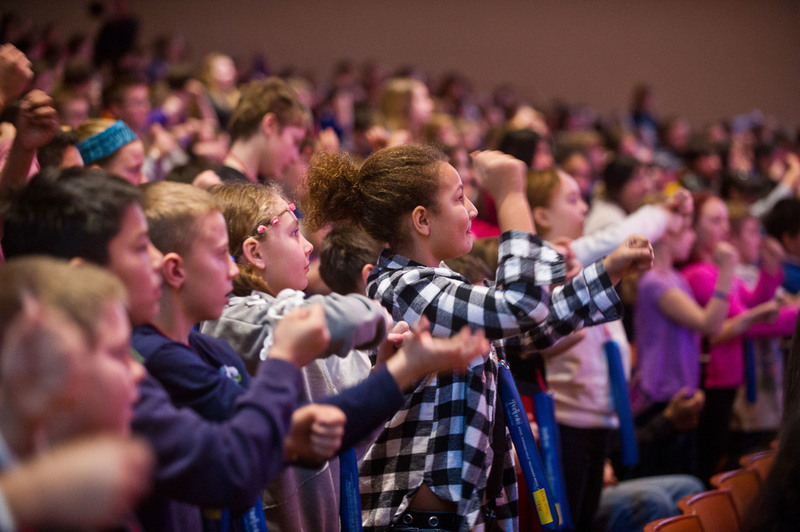 Link Up is a highly participatory program that pairs orchestras across the country with schools in their local communities, inviting students to learn about orchestral repertoire through a yearlong, hands-on music curriculum. Each year focuses on specific concepts, including rhythm, melody, tempo, orchestration, and composition. Utilizing materials provided free-of-charge by WMI, teachers guide students in exploring music through a composer’s lens, with students participating in active music making in the classroom; performing repertoire on recorder, violin, voice, or body percussion; and taking part in creative work such as composing their own pieces inspired by the orchestral music they have studied. 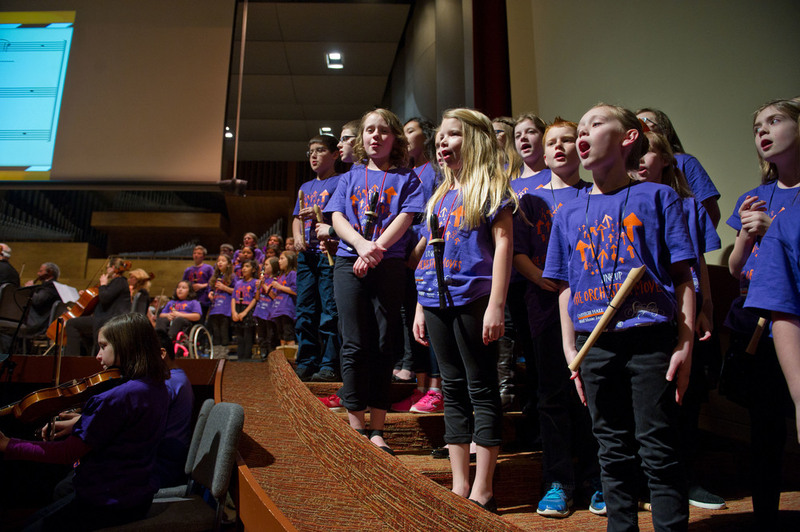 The culmination of the program was a free live performance in which students had the opportunity to sing and play the recorder or violin along with the Walla Walla Symphony. This performance often serves as students’ first concert experience and provided them with the opportunity to apply the musical concepts they have studied. The Symphony also performed the program for families at the Free Family Concert & "Foodraiser". Admission to this concert was free with a non-perishable food item donation and this year 1,036 pounds of food were collected. 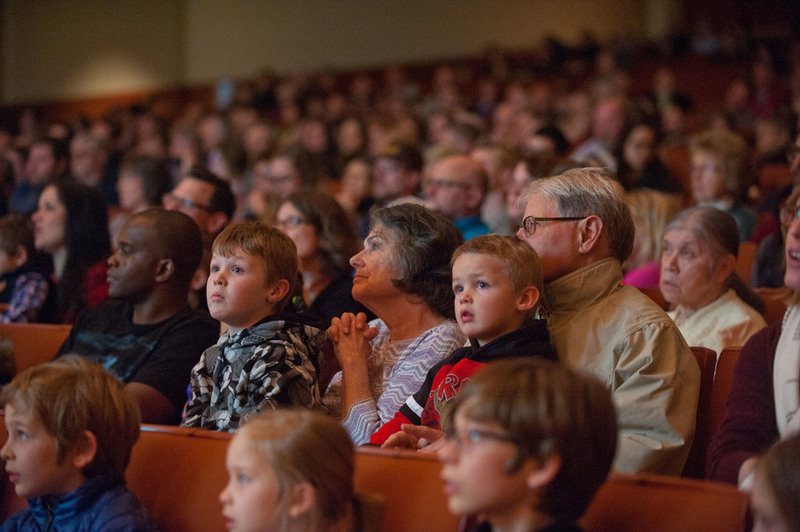 We are excited to continue this project in 2018 with our annual Free Family Concert on Sunday, February 11, 2018!